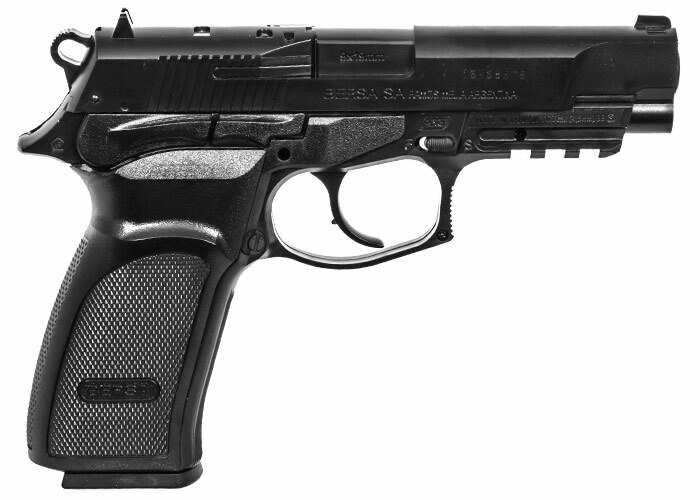 Originally developed by BERSA, as a military/law-enforcement sidearm, the Thunder Pro HC was built to perform under adverse conditions and provide decisive stopping power. 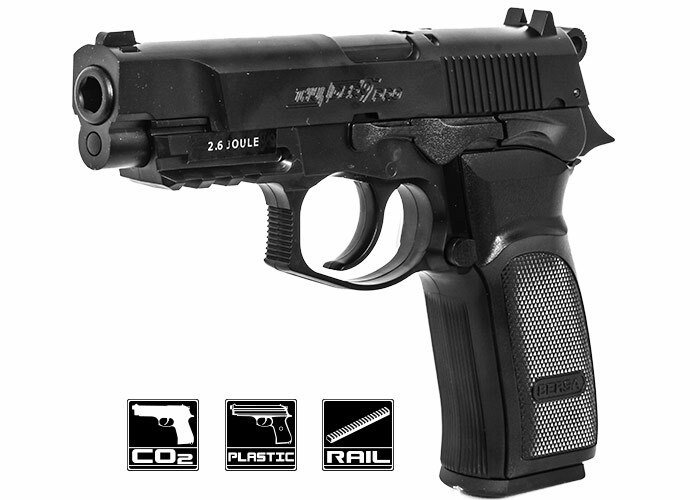 This is a semi-automatic 4.5 mm (.177) airgun version fully licensed by BERSA. It is powered by a 12g CO2 cartridge stored in the grip using the easy-load system and the BB's are put in a removable stick magazine. 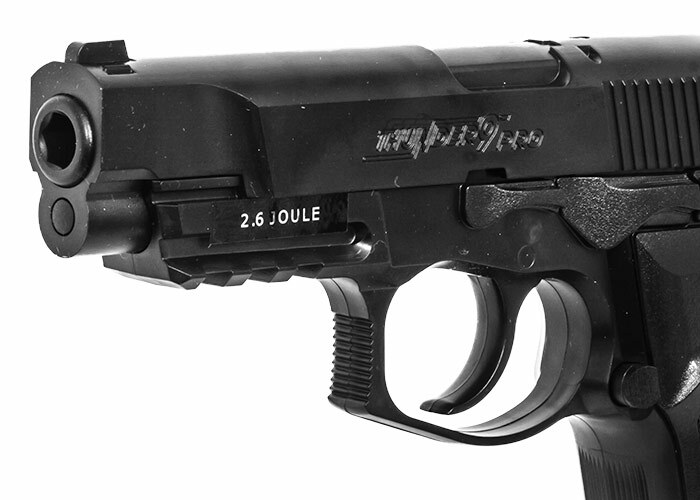 The Thunder Pro HC is a lightweight, full-sized handgun, with a ergonomic design. An integrated picatinny rail allows for mounting of lasers or tactical lights. 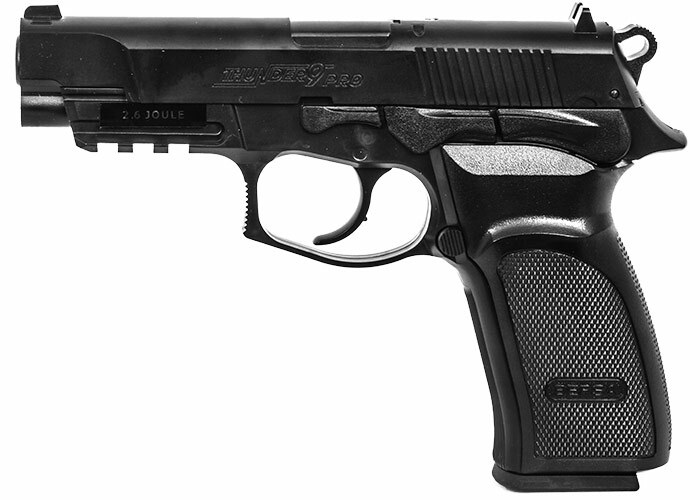 The grip and slide caries authentic BERSA markings and every gun comes with unique serial number.